SAVE THE DATE - Saturday, June 8. 2019: Join us for our 30th Anniversary Celebration under the stars in Downtown Long Beach. Over 1,500 alumni have graduated from Long Beach Leadership programs. 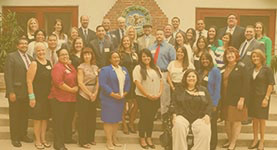 For more than a quarter of a century, Leadership Long Beach has informed, activated and connected a network of engaged community leaders to better serve Long Beach. 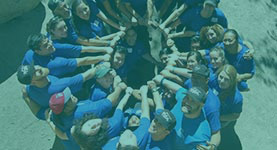 Leadership Long Beach programs promote principled leadership to organizations and people who want to make Long Beach a better place to live and work. Leadership Long Beach informs participants on the city’s challenges, connects them with community leaders and inspires them to make an impact. 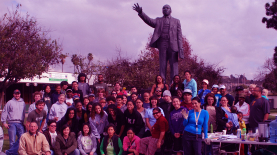 Leadership Long Beach is a catalyst to move our diverse and growing community forward. 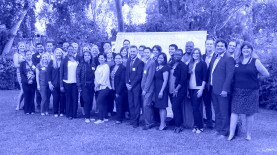 Its alumni form a network of community leaders who actively serve California’s 7th largest city. They meet the challenges and hopes of Long Beach through leadership programs, community class projects and volunteer service activities. Leadership Long Beach became the first nonprofit organization to receive the key to the city from Mayor Robert Garcia on Tuesday, April 3rd. This accomplishment is a reflection of the nearly 30 year history and the work in the community done by the more than 1500+ alumni. Our flagship year-long Leadership Long Beach Institute, the Executive Leadership Series, the high school Youth Leadership Long Beach, and Leadership Long Beach Foundations. Throughout the year, Leadership Long Beach hosts and coordinates events and activities to engage our alumni and support the community through a variety of ways. Through Service Days, Community Forums, City events and Volunteerism, our alumni are working everyday to make Long Beach a better place to live and work. Our community partners, Foundation funders and the generosity of our alumni make our programs and community service activities possible.